Few cinema characters have achieved the worldwide popularity of King Kong—the massive, monstrous ape with inclinations for beautiful blonde women and climbing skyscrapers. Kong debuted in 1933's King Kong from RKO Pictures, which was based on an idea by filmmaker Merian C. Cooper about a giant ape terrorizing New York City. For over eighty years, Kong has reigned supreme as one of the greatest movie monsters of all time—feared because of his ferociousness, but beloved for his tender heart and tragic circumstances. Cinema fans should familiarize themselves with Kong's nine-decade reign as the Eighth Wonder of the World. Kong's first movie was a smash box office hit and was one of the first major blockbusters in cinema history. At the time, the stop-motion special effects were groundbreaking, and the thrilling climax on top of the then-new Empire State Buildings is one of the most iconic sequences in cinema history. After premiering at New York's Radio City Music Hall on March 2 and at Hollywood's Grauman's Chinese Theater on March 23, King Kong wowed audiences during the Great Depression and over and over again in the following decades when it was re-released in 1938, 1942, 1946, 1952, and 1956. It remains the best-known of all King Kong films and was selected for preservation in the National Film Registry in 1991. Unsurprisingly, after the big success of King Kong RKO Pictures rushed a sequel, Son of Kong. The sequel features the protagonists of the original, filmmaker Carl Denham and Captain Englehorn (again portrayed by Robert Armstrong and Frank Reicher, respectively), returning to Skull Island and discovering a smaller albino relative of Kong that they dub "Little Kong." Son of Kong was a minor hit for RKO, and aside from the similarly-themed Mighty Joe Young (1949), RKO stayed out of the giant ape movie business afterward. In the mid-1950s, a giant movie monster took Japan by storm -- Gojira, or as it is known in the United States, Godzilla. It was no surprise that Toho, the studio behind Godzilla, struck a deal with RKO to use King Kong in this crossover film (at the time, RKO was already seeking a studio for a proposed "King Kong Meets Frankenstein" movie that never went into production). Unlike the original Kong movies, King Kong vs. Godzilla features an actor in a King Kong costume, and the suit in this film is of low-quality. Still, the movie was a huge success for Toho and remains the Godzilla film that has sold the most tickets in Japan—over 11 million! Because of the massive success of King Kong vs. Godzilla, Toho wanted to bring Kong back for a rematch. However, while that film never happened, in 1967 Toho produced this King Kong solo film as a spinoff of the popular King Kong animated series that aired on television in the late 1960s. King Kong Escapes features Kong fighting a robot imitator, Mechani-Kong. It was far less successful than King Kong vs. Godzilla, even though the Kong suit was much better! After Kong's period in Japanese cinema, he returned to American film in a remake of the original movie produced by famed producer Dino De Laurentiis. 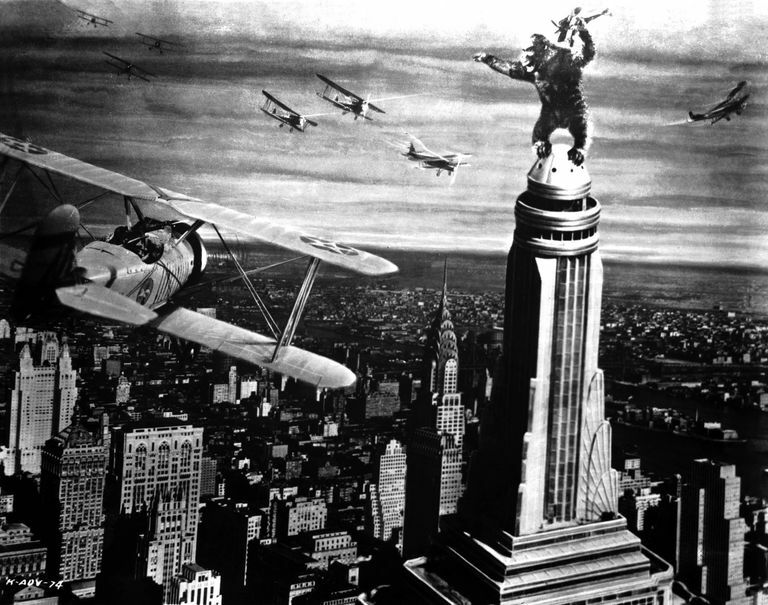 This version of King Kong was set in contemporary New York and featured Kong climbing the then-new World Trade Center towers instead of the Empire State Building. Along with Kong, the film starred Jeff Bridges, Charles Grodin, and Jessica Lange. This remake had a more comedic take, and like the Japanese films Kong was portrayed by actors in a suit. Like the original, it was a big box office hit. King Kong also won an Academy Award for Best Visual Effects. De Laurentiis' company made a direct sequel to 1976's King Kong, King Kong Lives, ten years later, in which Kong has been in a coma for a decade after falling from the World Trade Center. He is revived via a blood transfusion from a giant female ape called Lady Kong, and the pair escape and wreck havoc against the military. Unlike the previous film, King Kong Lives was a box office bomb and received extremely negative reviews from critics. Before directing the Lord of the Rings trilogy and winning Best Picture and Best Director Oscars for The Lord of the Rings: Return of the King, Peter Jackson was hired by Universal to remake his all-time favorite movie, which is the original King Kong. However, the project stalled until after Jackson finished Lord of the Rings. This high-budget remake of the 1933 film—set in its original era—featured the most realistic Kong yet as portrayed by noted motion capture actor Andy Serkis. The film also stars Naomi Watts, Jack Black, and Adrien Brody. King Kong was a box office success and won three Oscars for Best Sound Editing, Best Sound Mixing, and Best Visual Effects. The latest King Kong film is another reboot, this time set in the 1970s and features a variety of military personnel on an expedition to the mysterious Skull Island where they come into conflict with the mighty Kong. The cast of Kong: Skull Island includes Tom Hiddleston, Samuel L. Jackson, John Goodman, Brie Larson, and John C. Reilly. Terry Notary—a former Cirque du Soleil performer who has experience playing apes from the Planet of the Apes series—portrays Kong via motion capture. The studio behind Kong: Skull Island is Legendary Entertainment, which also released the 2014 American Godzilla reboot. 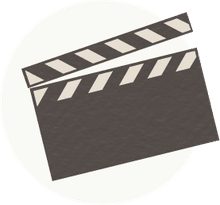 After Legendary Entertainment releases a Godzilla sequel in 2019, the studio aims to create a "MonsterVerse" franchise with 2020's Godzilla vs. Kong, a remake of the 1962 Japanese monster movie. Should that film prove successful, we can expect to see Kong up against all kinds of massive beasts in the franchise's sequels.